As Invercargill celebrates one year since the city first welcomed former refugees under the quota, we met some of the newcomers to find out how they’re getting on in Southland. In late February 2018, Invercargill became the seventh refugee settlement area in New Zealand. Volunteer applications flocked in, furniture donations started arriving and the community got ready to warmly welcome their new neighbours. To celebrate Invercargill’s birthday, Sandra, a former refugee and very talented chef now living in the city,, with the help of family and friends, organised a dinner for Red Cross staff and volunteers to thank them for their support to the Colombian community. Sandra spoiled 67 Refugee Support Volunteers with delicious Colombian food, the children offered an entertaining dance show and speeches from some of the families got a few tears out. In the last 12 months, Red Cross staff and volunteers have supported 88 new Kiwis finding their feet in Invercargill. From interpreting, to finding employment or helping families navigate the city, their tasks were very diverse. For the newcomers, all originally from Colombia, adjusting to a new environment, a new language and a new culture has been a journey full of emotions – a journey some of them have shared with us. DJ by night and labourer by day, Carlos has a strong determination to make the most of what Invercargill has to offer, but he also is very keen to share his culture with the rest of New Zealand. 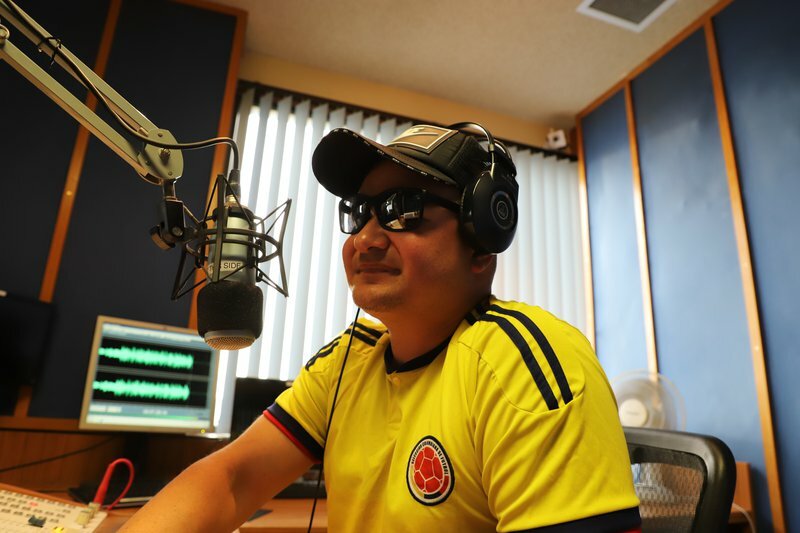 Every Monday night, Carlos, or DJ “JC Japon”, goes on air with his weekly radio show “Sonidos Latinos” [“Latino Sounds”], broadcasting live right in the hear of Invercargill. While the show is entirely in Spanish, it reaches people beyond language barriers. Listeners from all over New Zealand and as far as Colombia tune in to soak up some Latino sounds. During the day time, the sounds surrounding Carlos are far from the entertaining Latino music he plays on Monday evenings. Heavy machinery, road works and English discussions keep Carlos on his feet. Carlos works as a labourer with Southroads, a civil construction company in Invercargill. 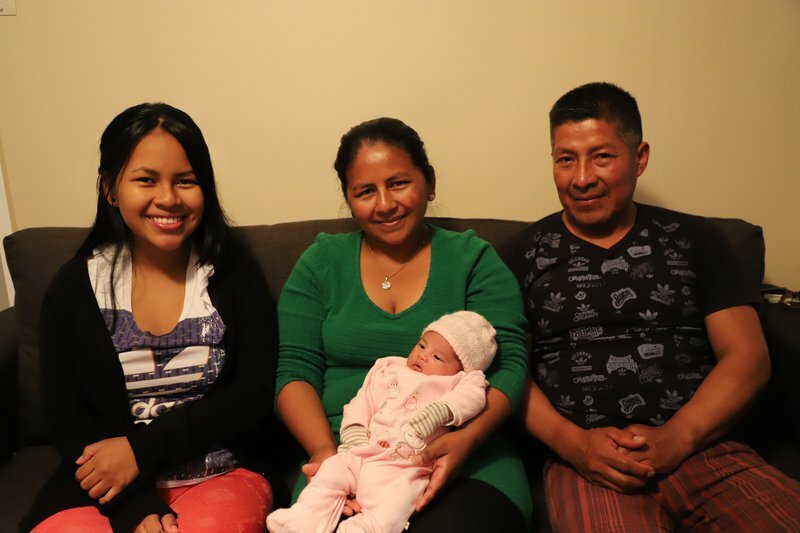 Jose, his wife Maria and their daughter Nidia had never heard of New Zealand before being told it would be their new home. The climate was certainly a change for the family as well as the new language, but the local support they have received has been life changing. From keeping them warm on arrival with jackets, to helping Maria find employment, their two Red Cross Refugee Support Volunteers have been real friends to the family. Red Cross’ Pathways to Employment team also supported Jose find work, and over time, Jose has become close friend with his employer Josh, who, with his wife Lynelle, have become an important part in the family’s life – Lynelle was even present during the birth of Salome, Nidia’s daughter. Read Jose, Maria and Nidia’s full story. 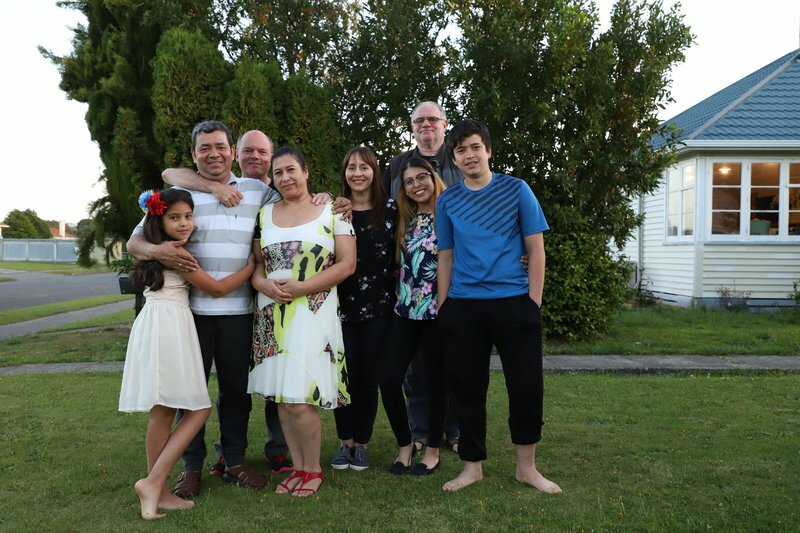 Albeiro, his wife Edilia and their three children Carolina, David and Karen are proud Southlanders making the most of all opportunities available in Invercargill. From finding employment, to interning with a local business, running a radio show and enjoying school, everyone in the family is enjoying what’s on offer in Invercargill. For the Red Cross Refugee Support Volunteers, being part of the settlement journey has been a life-changing experience.